Already September. How did that happen so fast? That means Christmas is getting closer and closer which means its time for reindeer! 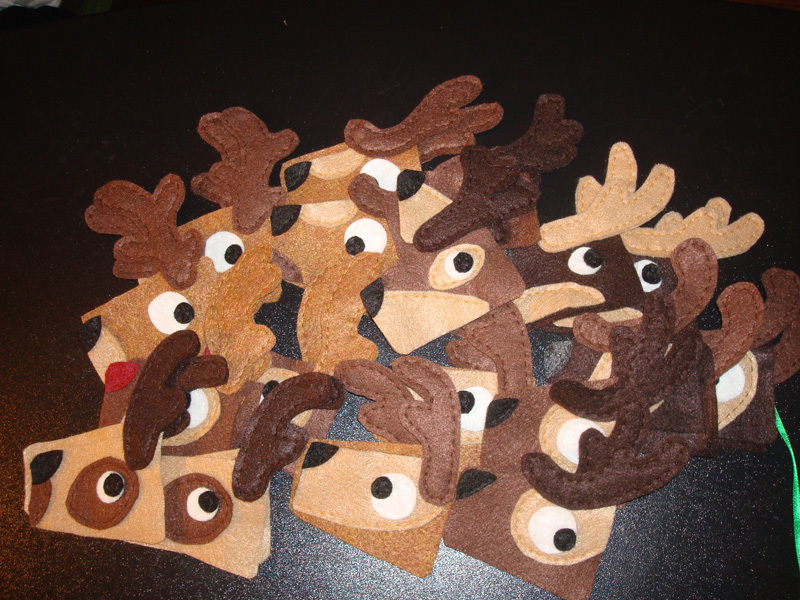 For the last week I've been working on getting Rudolph and all his friends ready to be added to the shop. This year I'm making them flat like all the other Squshies. As you can see from the photo above I've got quite the pile of pieces going. So many antlers! If all goes well I'll have them in the shop before the week is out. I've also got the red and green reindeer to add back in the shop. Now for something I'm super excited about... an empty spool of thread. How exciting can an empty spool of thread be? Well this empty spool of thread means that 250 yards of walnut brown thread was completely hand sewn. I bought that spool of thread when I started making the Squshies. It was one of the first colors I bought and it was purchased initially for the reindeer. It has been used on many other critters over the year. I've got a huge sense of accomplishment seeing that thing of thread completely empty and knowing it was only used to hand sew Squshies. It is also pretty nifty that the project that I started this thread on was the reindeer and the project I used up the last bits of the thread on was also the reindeer. 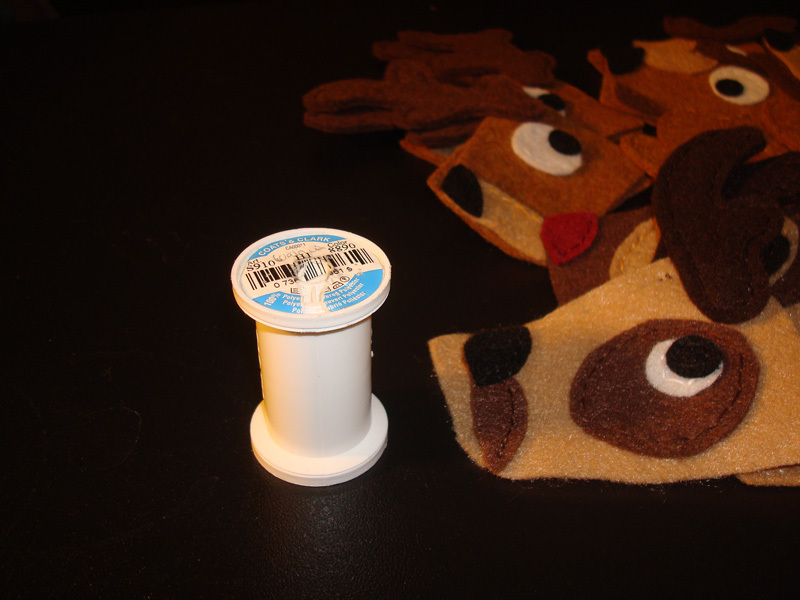 Now back to work sewing reindeer if I want to get them finished anytime soon!